A 23-year-old Toronto man has been identified as the victim in a Streetsville shooting. Deshawn Brandon Nicholson died after being shot early Saturday. The cause of death is consistent with a gunshot wound, said Const. Harinder Sohi. Multiple 911 calls came in at 3:56 a.m. for possible shots fired. Officers were sent to a disturbance at 327 Queen St. S., finding a man with obvious signs of trauma. Attempts were made by first responders to revive the victim at the scene. Police say there’s no suspect information. 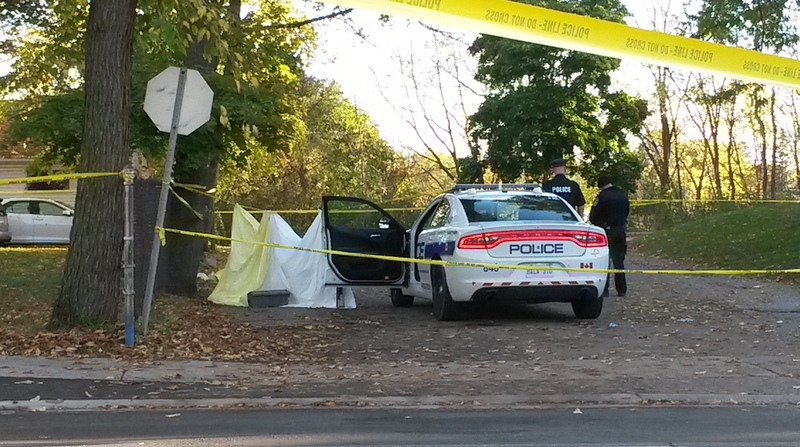 Homicide investigators are asking anyone with information to phone (905) 453-2121 ext. 3205 or Crime Stoppers at 1-800-222-8477.